31 Days of German Riesling is back! 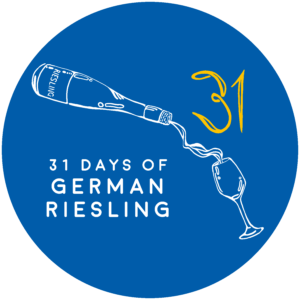 To register for 31 Days of German Riesling, please fill out the below form and we’ll be in touch to confirm your registration. Make sure you check out our Retailer and Restaurant participation documents to learn more about guidelines and best practice. As we approach July, you’ll receive a package with 31 Days of German Riesling POS materials to get you started! If you have any questions, please contact Wines of Germany by clicking here. Prost!